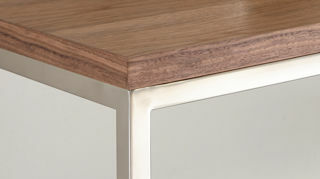 Exclusive to Danetti, the Acute Walnut and Black Chrome Side Table is the perfect place to rest your cup of tea or style some of your favourite pieces. 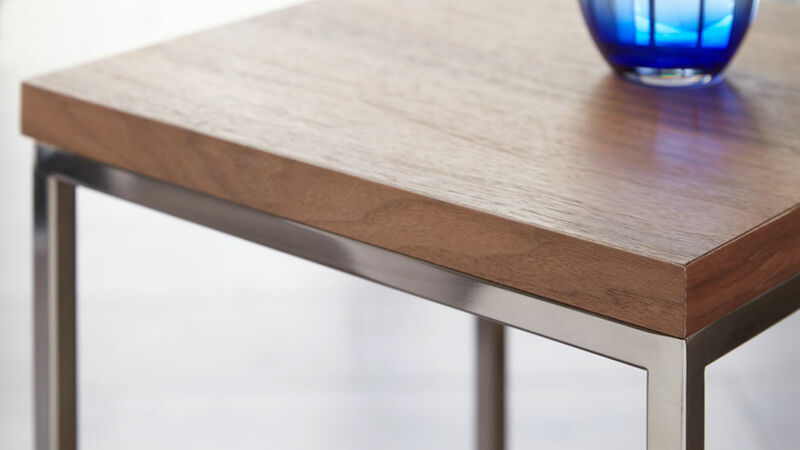 The walnut table top adds such a tactile quality to this piece, while the black chrome base will add a hint of modern luxury to wherever you choose to style it in your home. Wooden textures and walnut finishes add such a tactile and warm feel to any space, and the Acute side table is no exception. 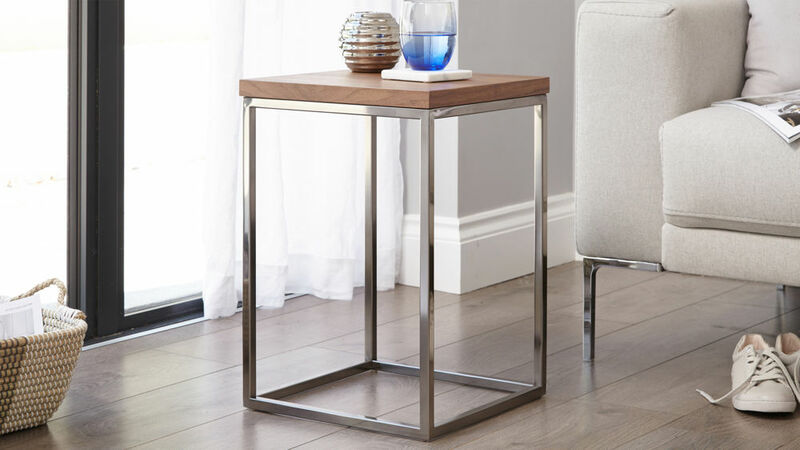 The great thing about this piece is that it combines a wooden finish with the super modern black chrome, making this side table really easy to incorporate into any existing style of interior. Black chrome is a really interesting unique finish that gives chrome an even more modern look. It's slightly more subtle the regular chrome, offering a darker tone and tying in especially well with dark timber finishes. The frame of the Acute is also sturdy enough that it won't easily topple over but is light enough to be picked up and moved around. This means that you can style this piece wherever it is needed. At 50 cm in height, 35 cm in width and 35 cm in length, the Acute side table is the ideal perch next to your sofa or occasional chair. A rich walnut finish with a modern luxe black chrome frame, the Acute Walnut and Black Chrome Side Table is definitely a piece for the style conscious! 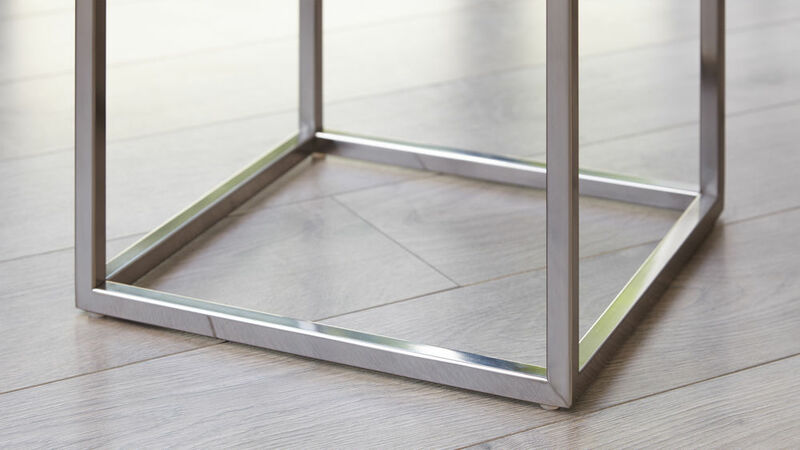 If you'd like to see some of the other combinations we have available, why not take a look at the Acute Matt Grey and Black Side Table, Acute Grey Gloss and Chrome Side Table, Acute Matt White and Black Side Table and the Acute White Gloss and Chrome Side Table. Clean-lines, classy and simple in design, the Acute Walnut and Black Chrome Side Table is a true definition of contemporary style. 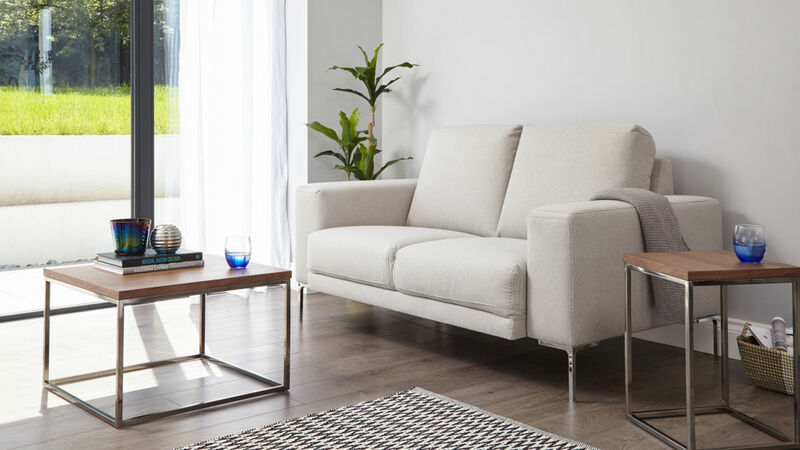 The one piece black chrome base is both attractive and practical, as its seamlessness means there are no joins so you don’t need to worry about putting the legs together. 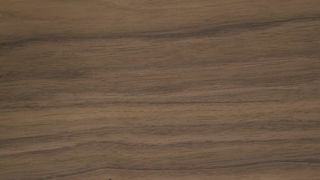 The walnut table surface tops everything off by adding a rich and textured look. 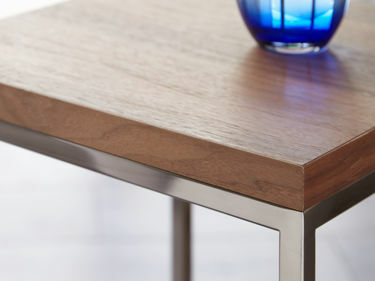 If you want a side table that mixes the old with the new, style with practicality and function with form, the Acute Walnut and Black Chrome Side Table definitely ticks all of the right boxes!